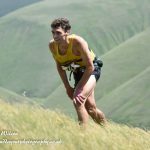 The third counter of the British and English Fell championships saw nearly 500 competitors take to the start line at Tebay, Cumbria. It was another amazing day with wall to wall sunshine and a light breeze to keep runners cooler than in recent events. The championship so far hasn’t seen a clear male leader, making it very interesting going into the summer. But in the team standings the Keswick men won on points yet again and secured a gold medal in the British Championship. This is the first time Keswick have won a British Champs since 1988, showing just how far this club has come in the last few years. The five that did the business on Saturday were Carl Bell, Mark Lamb, Sam Stead, Steve Hebblethwaite and James Appleton. The winner of the men’s race was Sam Tosh, and in the women’s race Victoria Wilkinson won and broke the record. 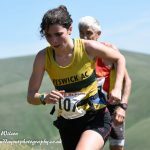 First Keswick lady was Jenn Mattinson, who put in a solid performance to come home in 13th position. 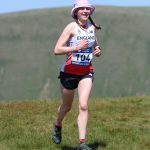 At the Home Countries International Mountain Race, England’s Katie Walshaw and Chris Smith led their teams to victory in the men’s and women’s events, held on the Howgill hills, Sedbergh on Sunday, securing a place in the GB & NI team for the World Mountain Running Championships in Italy on 28 July . 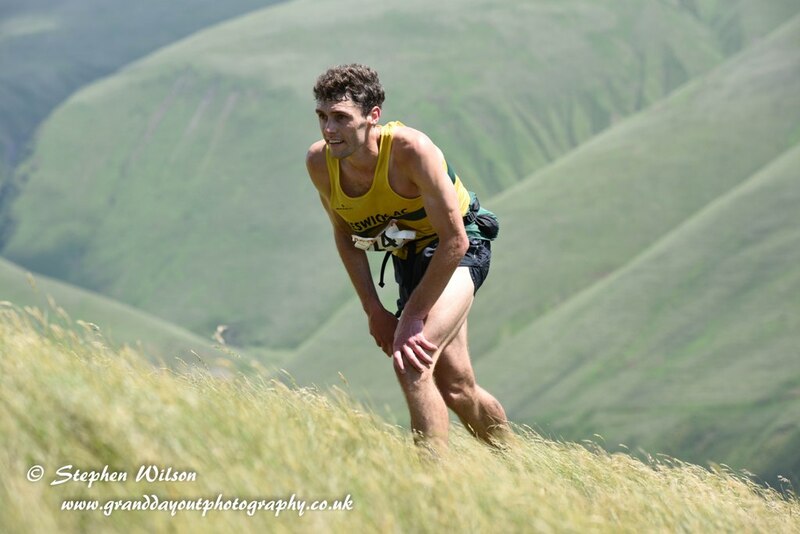 The 12.6 km route, ran in absolutely blistering heat with very little wind, included 866m ascent and descent. Walshaw was never challenged and gradually extended her lead over the 2 lap course, finishing with a 2 minute gap over second placed Rebecca Robinson (Kendal). 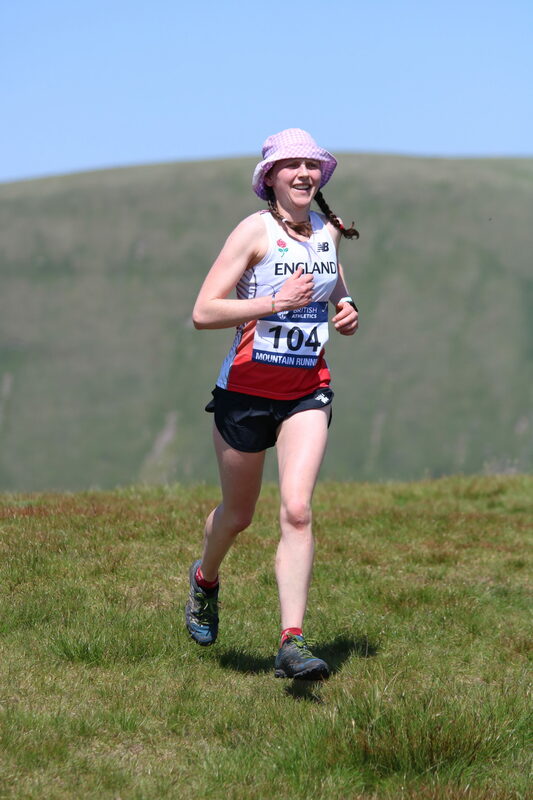 Second England counter was U23 Ruth Jones (Club: Salford Harriers Coach: Duncan Mason) who put in an impressive performance on her international debut. Nichola Jackson (Club: Preston Harriers) and Helen Glover (Club: Ribble Valley Harriers) produced strong runs to complete the winning England quartet. 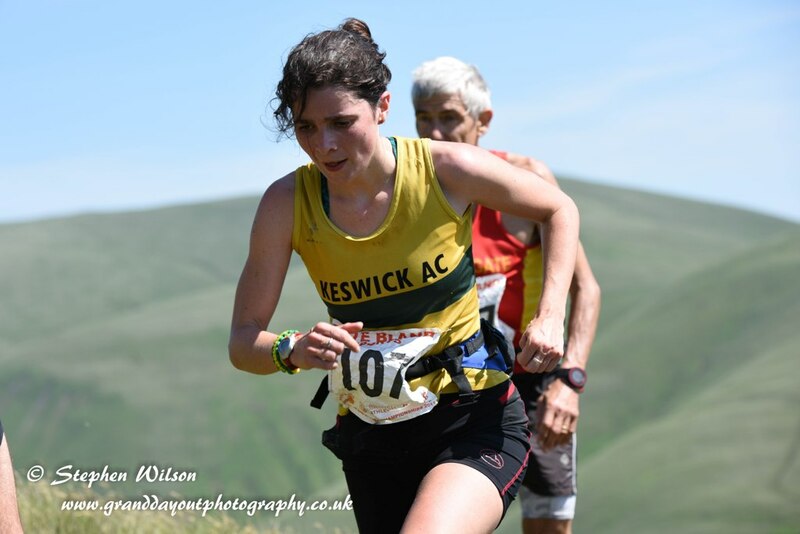 Catherine Spurden (Keswick AC) was also asked to join the squad and in her first representation at such an event, put in a fine performance and did Keswick AC very proud. In the men’s event, after Chris Smith the second England counter Joe Steward (Club: East Cheshire Harriers, Coach: Harry Kelly) was another U23 runner making an impressive debut and putting himself in contention for GB & NI selection. Smith and Steward were backed up by Chris Holdsworth (Club: Clayton Le Moors) and Jack Wood (Club: Ilkley Harriers) resulting in a comfortable win for England over Scotland and Wales.